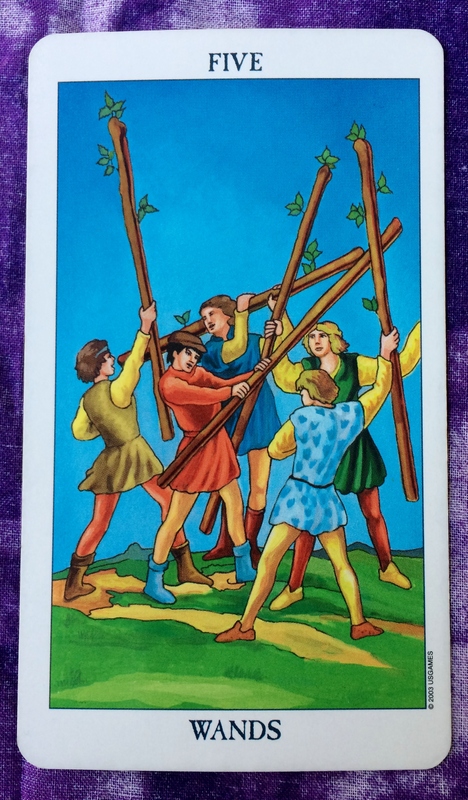 The Tarot card for today is the Five of Wands. You have so many irons in the fire that you are in danger of getting burned or succumbing to the smoke. People around you may be trying to tell you how to handle the situation. First, don’t get overwhelmed. Stay calm in the midst of this seemingly chaotic moment. Listen to others but hold on only to the things that make sense to you. As for all those projects on your plate? Complete each task one at a time. They will all get done with a minimum amount of stress — if you allow it.